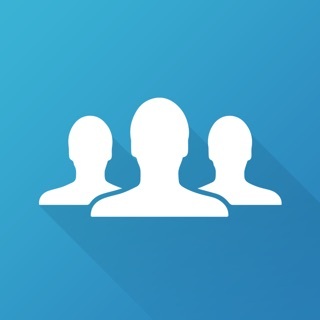 My Contacts App helps you to backup, restore and save all your precious contacts. Also, you can easily transfer all your contacts from one phone to another phone with just one tap! 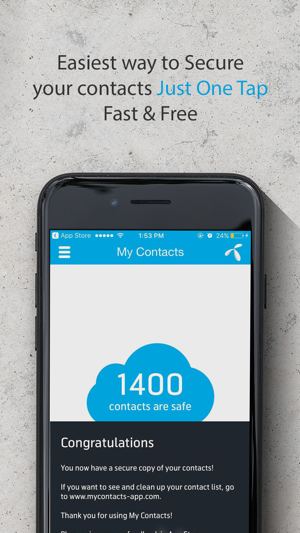 It’s an easy app that keeps your contacts safe and secure! The easiest and the only contact saving app that supports both smart & feature phones! 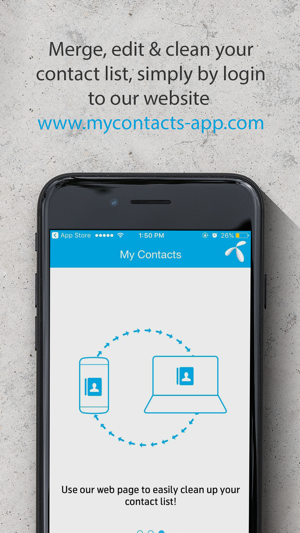 You can even access your phonebook from anywhere using our web interface www.mycontacts-app.com, where you can merge/remove the duplicate contacts and create a clean contact list! 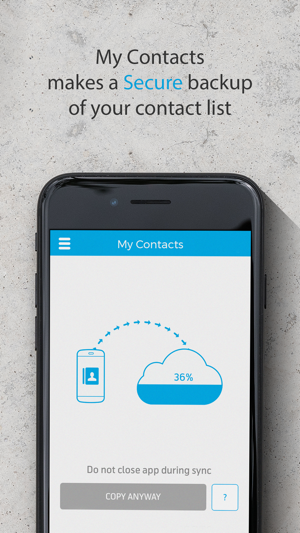 - Your contacts are saved! even if you lose or break your phone! - Backup, restore to ANY(!) Smart-phone without any worry. Completely safe, secured and fast. - Auto sync option, makes it easier. Just keep the app running in the background and it will take a daily backup of your contact list. Or you can manually sync with the Sync now button. - Easy Transfer of contacts from one mobile handset to another. - Simple and to the point app and it does as it says!! Now you don’t need to worry about losing contact numbers of your loved ones! 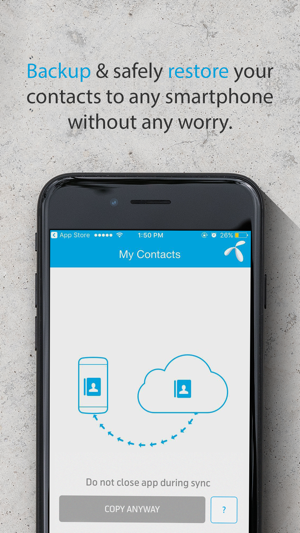 Whether you want to factory reset your current mobile, Lost or broke your phone, change to new handset, just download My Contacts App will make sure that you get all your precious contacts back with you forever! 5. Then press “Copy contacts” on your NEW phone – Voila!! it’s done! My Contacts App is available In English, Serbian, Swedish, Danish, Thai, Bangla, Malay, Burmese. More localized translations are coming soon! In some countries, a yearly subscription to My Contacts Premium is required to use this service. Payment for auto-renewing subscription to My Contacts Premium will be charged to your iTunes account upon confirmation of purchase. Subscription can be managed and auto-renewal can be turned off by going to your settings in the iTunes Store after purchase. To avoid renewal, you must cancel at least 24 hours before your subscription ends. Your account will be charged for renewal within 24-hours prior to the end of the current period. Hvorfor har man gjort noe enkelt så veldig komplisert. Før kunne man logge seg inn på Min Sider (Telenor.no) fra hvilken som helst PC/Mac, og administrere sine kontakter på web fra denne siden. Nå blir man videresendt til MineKontakter.no, der det er umulig å få opp kontaktene man har lagret. Man har altså laget et system der man kun kan administrere kontakter via app for Nettbrett/smarttelefon, mens det er umulig å gjøre dette på en bærbar PC/Mac. Hvorfor har man forandret noe som fungerte utmerket, til komplisert og utilgjengelig? Hassel free administration of dual contacts!